Bakersfield Police have released new information regarding the suspect vehicle believed to have been involved in Friday's hit and run that left three people wounded. 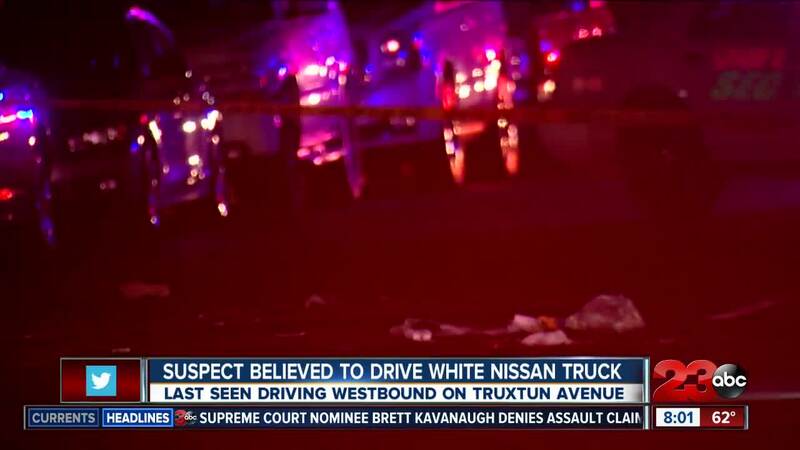 BPD said they are searching for a white possible 2000's model Nissan Frontier King Cab pick-up truck that was last seen fleeing the scene, traveling westbound on E.Truxtun Avenue moments, moments after the hit and run. The truck had moderate to major front end and right passenger side damage. If you have any information about the crash, you are asked to call Bakersfield Police at 661-327-7111. Bakersfield Police responded just after 10 p.m. Friday to a major injury hit-and-run collision in East Bakersfield. Police say three people were hit by a car that took off from the scene at 1200 E. Truxtun Avenue. That car has not yet been located. Two people suffered moderate to major injuries and a third suffered minor injuries, police say. They were all transported to local hospitals for treatment.